Last week we learned that an early start to your saving efforts and a sufficiently large annual contribution rate can together help ensure financial security in old age. For the latter, a person’s unique income level and near-term expenses are the major factors that influence how much he or she might set aside for retirement each year. However, a report from Guardian Life suggests that people will also save more money when they have additional information at their disposal. Specifically, significant majorities of surveyed 401(k) participants said that they would increase their annual contribution rate if they had a better understanding of how much retirement income their current level of savings are generating (79 percent), and the investment options available to them in their 401(k) plan (75 percent). 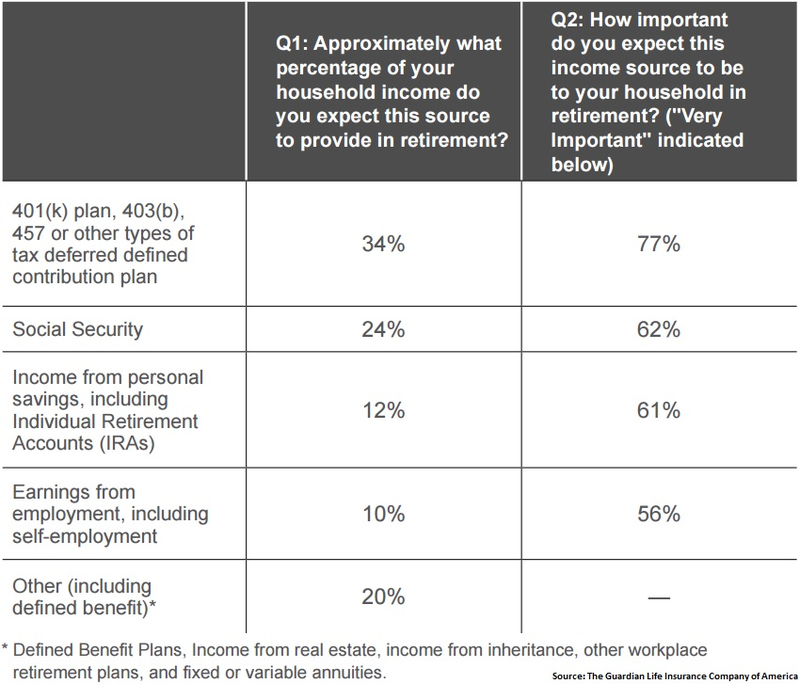 Seventy-three percent of respondents also said that they would boost their plan contributions if a professional financial advisor explained to them how to invest the assets in their 401(k), and 69 percent said that they would increase their savings if they found out that other people in their same age and income bracket were currently setting aside more money. Another reason why plan participants would likely benefit from additional information is because many are not completely familiar with common plan-related terms. For example, not even half of respondents said that they had heard of “target-date funds”, “dollar-cost averaging”, and “target-risk funds.” Further, many workers appear to be overconfident in their present level of old-age financial preparedness because surveyed 401(k) participants on average said that they anticipate being able to replace 95 percent of their current income during retirement. That is more ambitious than what financial advisors typically recommend and well above what most respondents’ present contribution rates would actually be able to achieve. Firm size appears to play a role in participant knowledge because surveyed 401(k) participants at small businesses were found to be a lot less informed about available plan features than workers at larger companies. This disparity is likely related to limited resources, and should therefore be another reason why smaller employers could benefit from outsourcing the management of these and other increasingly complex benefits matters to a professional employer organization (PEO).